Hi gang, Micki here and I have a confession to make. I have held out – held out jumping on the Distress Paint wagon. Gasp, I know, what was I thinking! With a limited spending budget, I figured paint is paint and I have plenty of that. No need to rush out and get them the moment the Distress Paints arrived at retail. But after seeing the awesome projects by the DT using these paints, I had to check them out. First on the agenda was checking out some tutorials. 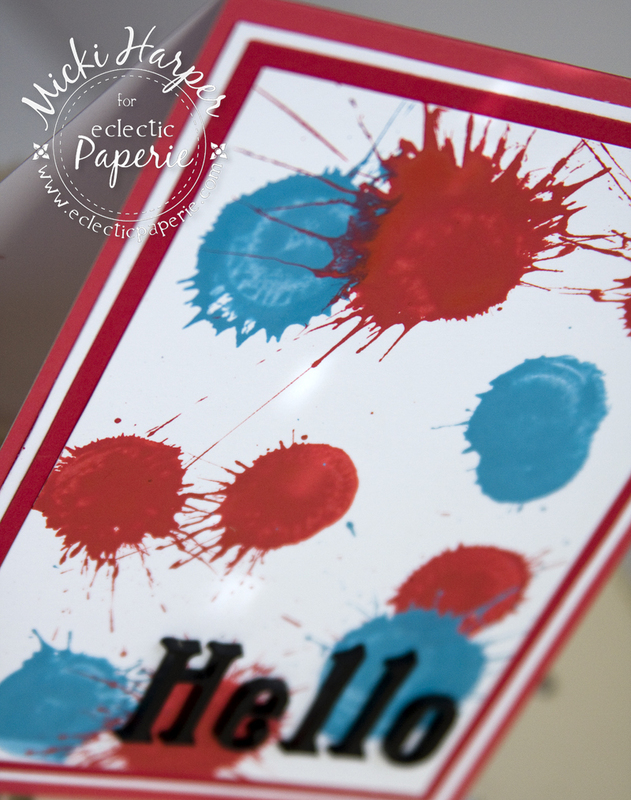 Marjie Kemper posted a wonderful tutorial HERE on the eP blog. As well as Alison Bomber. 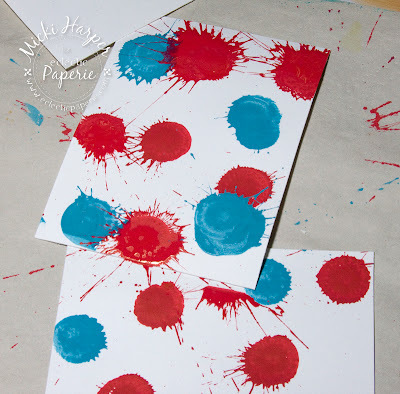 You can find her Distress Paint Games post HERE. Don't forget YouTube. 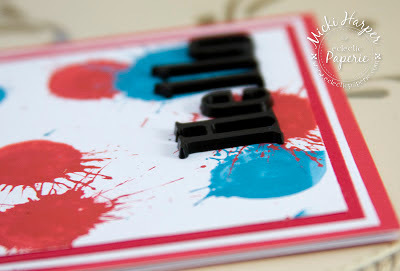 A search will bring up lots of tutorial videos, including several by Tim Holtz. Super simple card. I added the sentiment using Idea-ology Alpha Parts Signmaker letters to spell out Hello. I absolutely love it. And the letters add a little dimension, which I like. I already started several other projects with these paints which I can't wait to finish. And all I can say is..... run....don't walk..... to the eP shop and get 'em before they are gone! That looks like far too much fun, Micki! Love the look of those splats and think they would look very nice in my journal! I love this! Love the splatter and the color choice! 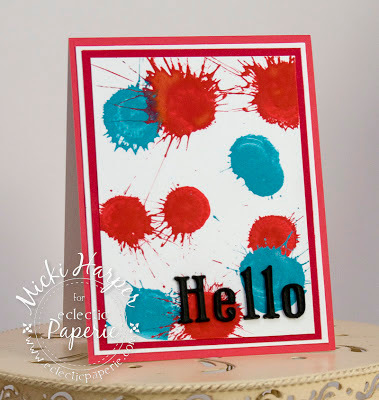 Oh my giddy aunt Micki ... loving what you did with the distress paints, it`s addictive, I have splodged with the stains and loove...loving it Micki!! Micky, What a good idea! I was wanting to making paint spot backgrounds but I was going to put out water color and paint brushes. This is way easier! Thanks for the idea.